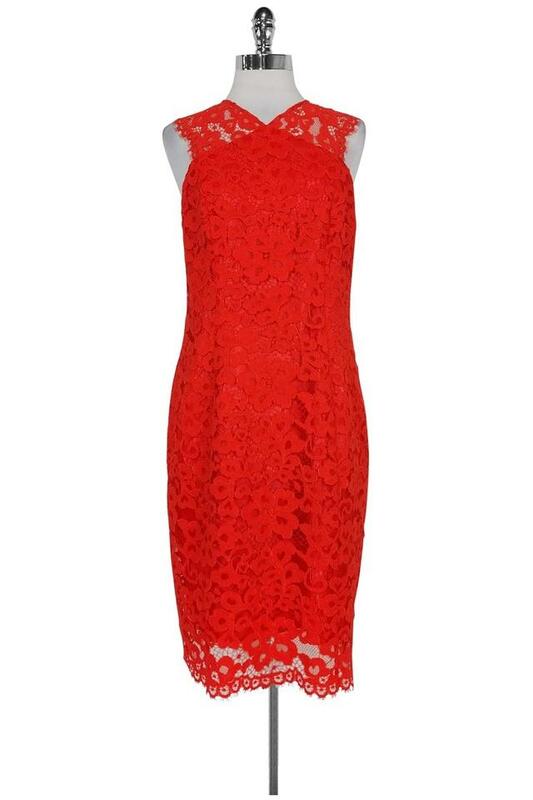 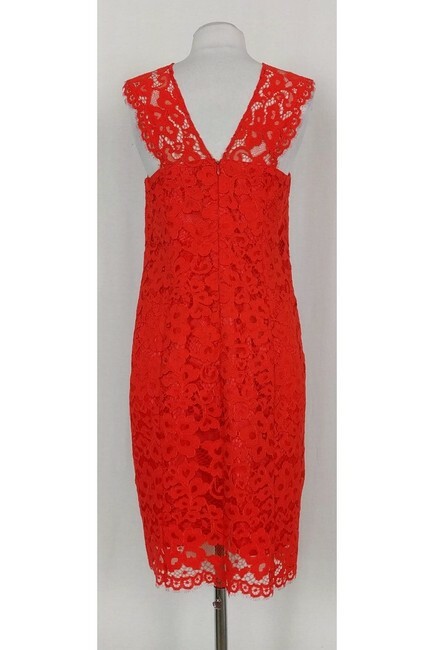 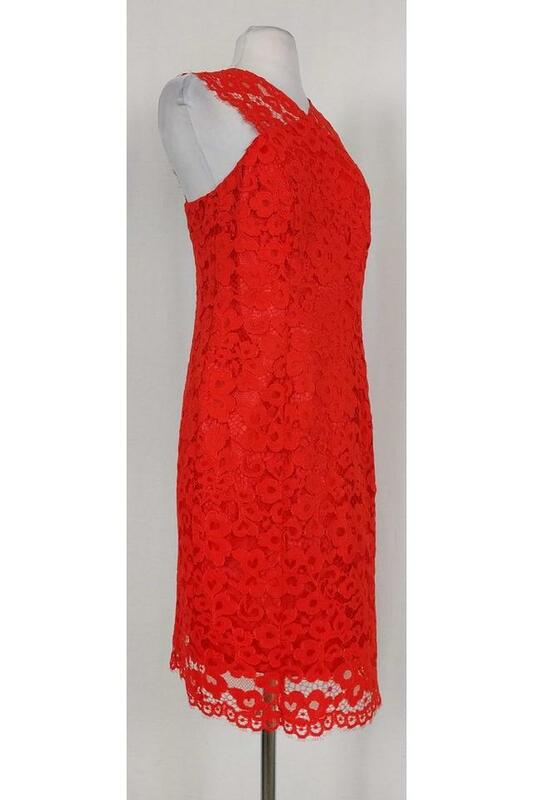 Lovely lace dress in a stunning red orange hue. This romantic garment can be worn to date night. Style it with gold-tone jewelry.